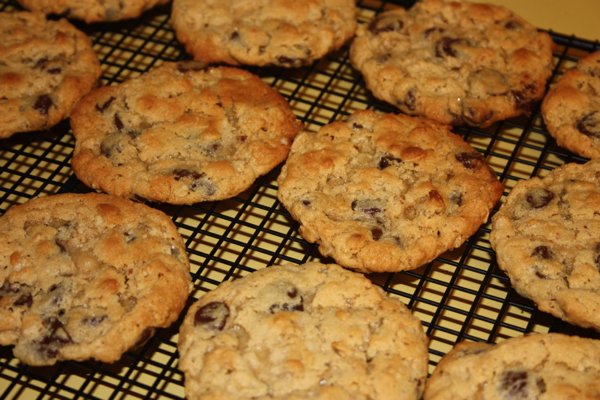 Yesterday was National Chocolate Chip Day. Who knew? Well if you know me, you know I couldn’t let this excellent excuse for having a chocolate chip cookie pass me by. 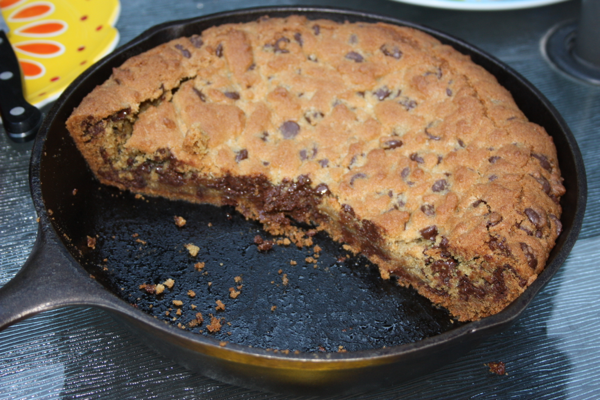 I have seen skillet cookies several times but had never tried one. I had no idea what I was missing. It was so yummy and I thought cooking it in my cast iron skillet made it seem so rustic. Everyone that had a wedge of the cookie thoroughly enjoyed it and the boys kept asking for just another sliver. Does that tell you anything about how yummy it was? 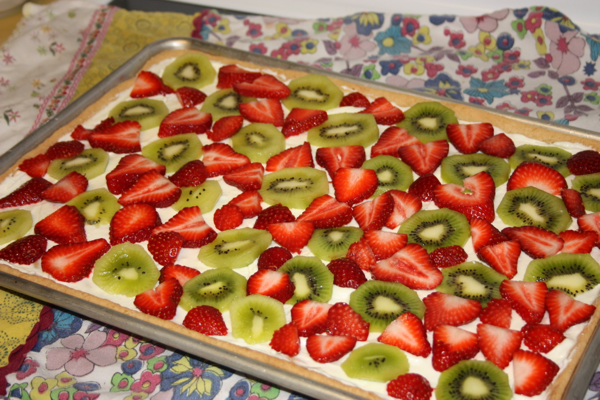 This will definitely be making it on my list of go-to recipes for treats. It was super easy to put together, I have all the ingredients on hand and I love the presentation. Transfer dough to a 10 or 12-inch skillet, and press to flatten, covering bottom of pan. Bake until edges are brown and top is golden, 35 to 45 minutes. (I baked mine for about 40 minutes.) Don’t overbake; it will continue to cook a few minutes out of the oven. Let cool, 15 to 20 minutes before serving.